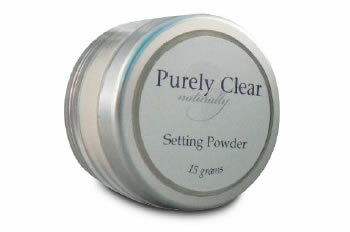 Purely Clear's Setting Powder is a must have. It provides full coverage, is long lasting, and extends the life of your foundation. Our Setting Powder is oil and chemical-free and enhanced with Aloe Vera to give you the silky appearance we all desire. Apply with our Powder or Blush Brush over foundation or alone for those who prefer very light coverage.